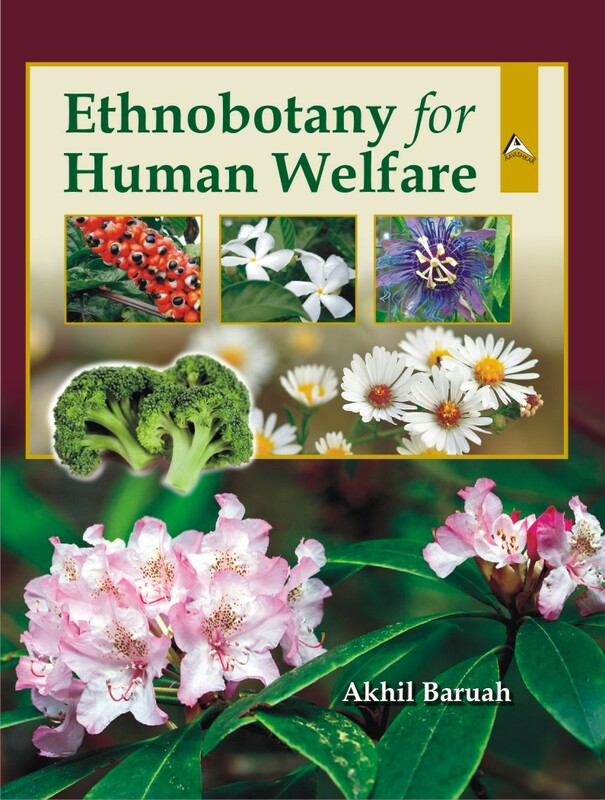 The book ‘Ethnobotany for Human Welfare’ includes 13 chapters, covering the aspects of Ethno-medico-botany & therapeutic applications of Herbal plants, Taxonomy of Medicinal plants, Chemistry of Medicinal plants, Biological activity & Pharmaceutical value of active components, etc. contributed by eminent Academicians, Scientists & Scholars of India. The contents include : Herbal Remedies for Rheumatism, Bone Fracture and Allied Bone Disorders: Traditional Knowledge and Practices • Medicinal Plants Used to Cure Blood Related Ailments in Northeast India – An Overview • Herbal Medicines Used for the Treatment of Different Body Pains • Ethnomedicinal Plants Used as Antidotes Against Snake Bites and Scorpion Sting • Medicinal Plants Used Against Lung Related Diseases in Northeast India – An Overview • Ethno-medicinal Plant Diversity Used for Human Fertility Regulation • Rhododendrons for Curing Human Health Diseases • Effect of Certain Natural Products/Plants Against Hepatitis Viruses • Nutritional and Medicinal Values of Fruits • Nutritional and Medicinal Values of Common Vegetables • Medicinal Values of Spices and Condiments • Traditional Practices For Curing Liver Diseases and Diabetes • Phyto-medicines for the Remedy of Dental Problems • Index. This book will be useful to the research & academic institutions, various pharmaceutical industries, agriculture and allied fields, as well as to exporters, processors, planters and to all those who are interested in Ethno-Medicinal plants.